As we briefly mentioned in our email, for this week’s marketing strategy we are shaking it up a little bit…doing things a little differently. We will be showing you the importance of telemarketing, attending events, and working on your SEO. But this week, we are diverting and moving away from a digital marketing strategy this time we want you to call your customers! When trying to gather new leads, the emphasis always seems to be on capturing an email address as that’s the most effective form of contact information. Don’t get us wrong, an email address is important but obtaining a telephone number is just as useful. A telephone call can give instant and direct information on how your customers are perceiving your product or service. We want to use this post to show you how telemarketing can be a useful strategy in your marketing mix. It does not matter what industry you operate in, acquiring feedback from your clients is 100% useful. Imagine you are a SaaS (software as a service) business, and you are offering a free 30 day trial for users. It is important that during those 30 days a user trialling your product is contacted to see how they are finding it. From this feedback, you can start making any necessary changes to your service. Phone calls are also a more emotive method of communication compared to an email so it’s easier to detect by tone of voice as to how a customer is feeling. To be honest, this can be applied to situations that are not even related to business. How do you feel when someone picks up the phone to personally invites you to a birthday party or dinner, as opposed to using a Facebook event, or simple text message to invite you? You feel valued, you feel special! That’s the same way a potential client feels when invited via phone call for an event you may be hosting. Nowadays, people don’t bother to call but calling customers is again, an outbound marketing strategy that still holds value. Your customers will appreciate the fact that you took the time to personally invite them. In this situation, however, it is necessary that you follow up with an email to the client with the exact details of where the event is taking place. Remember to contact your client again via phone call after the workshop to get their feedback. Okay so we understand that not everyone is born a sales person, also we know as an entrepreneur you may be the only one on your team so spending hours contacting leads to make a sale may not be feasible. However, it’s important that you are incorporating some sort of telemarketing into your marketing strategy to make customers aware that there is a person behind your business. A key to making a sales call is to not to go in for the sale right away! Once you’ve contacted the right prospect related to your business service, go in with the right questions. For example, imagine you import wines as a business. You’ve contacted a buyer that you think would be good to do business with. In the phone call make sure to introduce yourself by telling them what you do, give time for the buyer to tell them what they do, ask further questions relevant to their industry, and finally propose the intention of the phone call. More than likely, you are not going to make a sale just through 1 phone call. But this direct contact is a first step to schedule meetings in the future and discuss. Tip! Always smile when speaking on the phone as it will be conveyed to the listener. People are more than likely to be nicer to a person who is smiling. So, making phone calls isn’t as useless as you previously thought. When creating a landing page with Smarty, once you create your form you can add in a “telephone number” field for your clients to fill out. You can even make this a required field so that users cannot bypass filling out the form without adding their telephone number. Check out our video tutorial on how to create a Landing page with Smarty. We’ve written about the importance of attending events before during this marketing programme. But it’s something that is worth mentioning again as events are amazing in networking, meeting potential clients, and making partnerships. In week 2, we came up with a list of 10 places you can find events. (View it near the bottom of the page in week 2 blog post). Make it a duty this week to check the list again and at least join one of the groups so that you’ll be aware ahead of time to when an event is taking place. We’re going to make it even easier for you – Click on Business in London Meetup (which was number 10 on the list) and join! Simple. Here at Smarty we’ve also tried to make event attending a little bit easier. We’ve recently teamed up with Enterprise Nation, the UK's most active small business support network, to offer you three months free Enterprise Nation membership. You’ll be able to join a community of over 70,000 small businesses and advisers to get discount on over 150 events per year, regular meet-ups, meet the buyer missions, and loads more. To access all this and more simply sign up for your free three months, here. A few tips to remember when attending networking events. Have a goal in mind, how many people do you want to speak to? What are you trying to achieve? How many business cards do you want to give out? Obviously, this may be harder or easier to achieve depending on the turnout of the event. Don’t do all the talking! Give the other person a chance to speak! Bring an abundance of promotional material such as business cards, brochures/flyers if you have them. You don’t want to leave potential clients with no way of contacting you. Having a right SEO strategy is very important to any business. 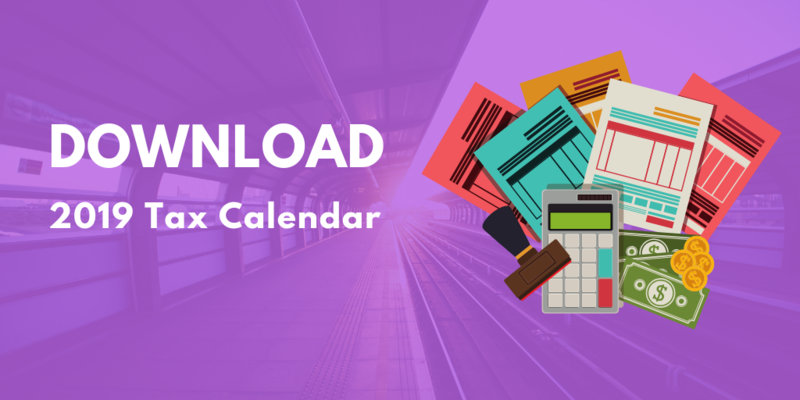 We have created useful SEO planning template for you, download it here. That’s it for week 4! Hate to sound like a broken record but please start implementing these strategies because they are here to help.